As I write this, I am at a loss for words. Not just because it is an attempt to encapsulate a man who was so many things wrapped in one—a former head of state, a scientist, an author, a poet and, above all, a teacher—but also because I cannot seem to find an adjective to define a person who has inspired so many people, cutting across all barriers of age, class and caste. This was a man who lived by his words till his very last moment—to be doing what he loved most, teaching young people, and keeping the final goodbye very short. I just keyed in more than a 100 words and have not yet mentioned a name. Still, I am confident that we could probably go through this entire article knowing fully well that it’s Dr. APJ Abdul Kalam that we are talking about. It would be an understatement to say that there has been an outpouring of emotion from every corner of the nation, and the world, since news of Dr. Kalam’s death in Shillong, Meghalaya, on July 27 started trickling in. People have taken different paths to express their grief—some have lit candles, while others, like our bloggers, whose vent are their words, have taken to their space in the virtual world to pay rich tribute to the ‘People’s President’. Blogger Cifar Shayar (www.blogthepoint.blogspot.in), for instance, confers the title ‘Chacha’, otherwise known to address India’s first prime minister Jawaharlal Nehru, on him. “He was the only one after him (Nehru) who loved and cared for children. Mr. Kalam was as inspirational in life as in death,” reads one of the several lines penned with obvious emotion. “Few called him Vivekananda of the present times,” reads another blog post on www.creofire.com whose title is ‘A Man, A Magnet, A Mission: APJ Abdul Kalam’. “He made us dream about making the nation a super power. He worked on the field…He lived, is living and will live in our thoughts”. Saying Dr. Kalam was an inspirational figure would be a repetition. His books have pushed many to dream higher, to have a vision of a better future for the country as a whole and then work towards it. He was, after all, a doer and maintained a grueling schedule until his last moment at the age of 83. A number of bloggers have also channeled their feelings of loss towards poetry, penning beautiful lines for the man who has been called many things, ‘Bharat Ratna’ and ‘Missile Man’ to name just two titles conferred upon him. But some of the most beautiful lines that are encouraging, inspiring and yet simple have been Dr. Kalam’s himself—in the form of quotes which have been compiled and circulated everywhere including the social media and blogs. One such quote (and a personal favourite) is, ‘Dream is not that which you see while sleeping, it is something that does not let you sleep’. An entire nation has been awakened by your words and although your mortal self has moved on, that disarming smile, the warm persona and those inspiring quotes will always keep you alive in the hearts of a billion Indians, Sir. The People’s President will, after all, live on. I had been fortunate enough and feel honored to say that I had attended one such conference graced by Dr. Kalam as IIM Shillong’s, albeit at the Teen Murti Bhavan in October 2014. While I had found those photographs in my portable hard drive just last week and planned to chronicle the same sometime around now, I had not, in my wildest dreams imagined that the reason to pen the post would pursue a different course altogether. More priceless was an audio recording in Sir’s voice, which I came across! This recall is my humble tribute. Hi Poonam. Thank you for writing in. I was lucky to have met Dr. Kalam too, and listen to him. What a man, what a visionary! Like I said, we will always run short of the number of words to praise the visionary that Dr. Kalam was. But the greatest tribute, in my opinion, would be to live by his words. Thank you all for writing in and sharing your thoughts about him. A visionary and a great human being. A leader whom all Indians hold in high esteem and are proud of, Dr Kalam will continue to live forever in the hearts of Indian citizens. A great logical mind, to him national pride was a religion, and science the way of life. My his dream of India as a developed nation come to reality by 2020. I have read his autobiography and other beautiful books penned down by him. Must say each of his thoroughly inspires. The best we can do is pick his books, read and turn our dreams into actions. He is in the blood of nation!!! His love, his care, his work, his thoughts, his concern, his messages are running within every Indian. He is truly the great inspiration for youth. His words, teachings and thoughts will keep him alive in our heart, in our thoughts, and in our life, for never ending decades. He was really a man of a vision with a mission. He has inspired us all and motivated the young generation in the correct perspective. Thanks IndiBlogger for the good collection of his blog posts. The energy he brought to the stage was so immense you could continue listening to him all day…. Anyways he will live in our hearts for ever. My small tribute to a big man.. 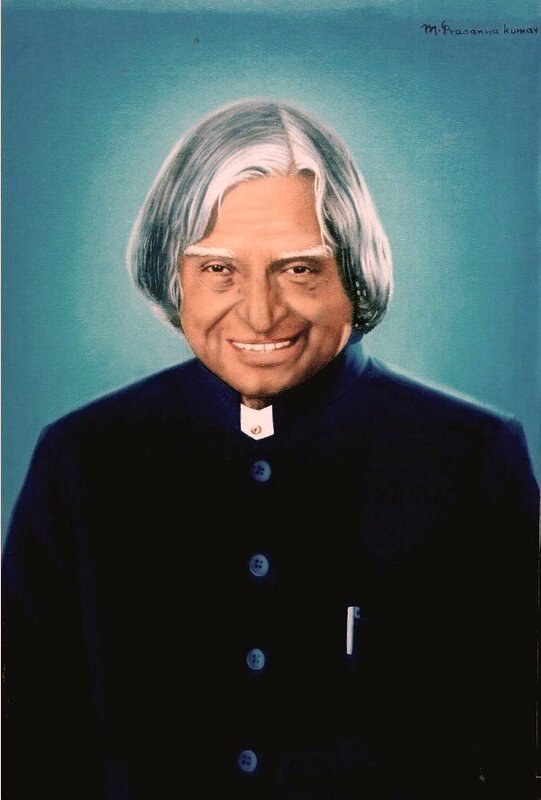 The first autobiography I read was Dr. Kalam Sir’s “Wings of Fire”…. Although I never got a chance to meet him personally but that book has such an inspirational stuff that it is still guiding us by his teachings. I inspired a lot by his writings…. He was my role model. By making India of his dream will be a great tribute to him. Previous story Itching for a vacation? Listen to what the travel bloggers have to say!